Wenzhou City, China – Christians are vowing to stand firm for Christ amid much persecution by officials in a Chinese province where church buildings continue to be demolished, and where believers in a recent video can be seen bursting into tearful song about the cross and how their sins were washed away by the blood of Jesus while the cross atop their building is forcibly removed. 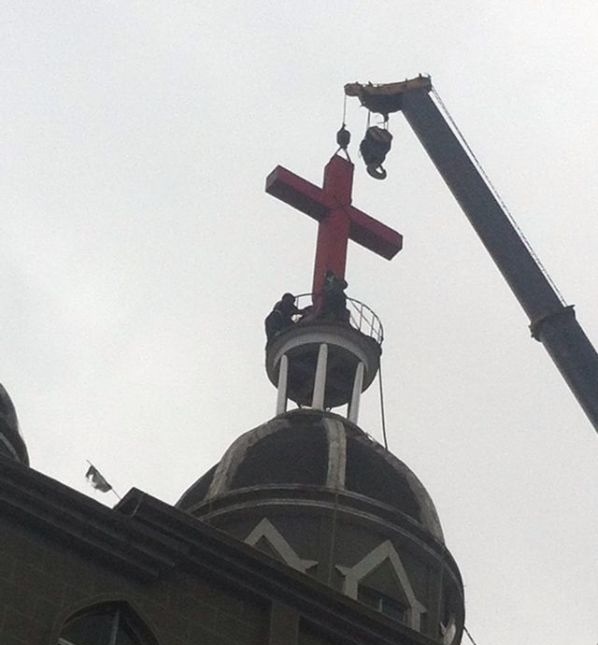 Within a week after pastors and church members from various congregations wrote objections concerning the ongoing abuse in a published letter to the government in Wenzhou City, which is located in the country’s Zhejiang Province, authorities removed the cross on the roof of Yahui Church in the city. Church members were also threatened with harm if they talked to the media or petitioned Beijing, according to a report by International Christian Concern (ICC). They claimed that China’s Administrative Punishment Law requires advanced notice before the government’s compulsory execution. However, the government’s demolition teams usually show up at churches in the middle of the night, without legal documents, and began the demolition process under the cover of darkness. In addition, Chinese Christians argued that, even if a cross is illegal, the law demands that the demolition team should be from the Religious Bureau or the Housing and City Planning Bureau. However, the demolition team is usually made up of unidentified personnel, police, and SWAT—a clear violation of procedure and the rights of the believers. It is reported that over 360 churches in Zhejiang Province have been completely or partially demolished under the guise of “removing or modifying illegal constructions.” The government of Zhejiang Province says it is removing or modifying illegal buildings for urban development. ICC reports, however, that the target has been religious buildings at the exclusion of all others, and has received a list of 15 churches in Pingyang County alone that are facing cross demolition by the end of this month. It is widely believed that the campaign is exclusively targeting Christian churches. “The campaign has been unbridled and the government demolishes church crosses recklessly,” said a local church member, according to the release. “Zhejiang provincial authorities have carefully planned and carried out their systematic attack against Christianity and churches. No one should have their property targeted for destruction based on their faith,” stated Sooyoung Kim, ICC’s Regional Manager for Southeast Asia. “The Chinese are told they can live the ‘Chinese Dream,’ but this is not possible for the citizens of China when the local government breaks the law with impunity. We call on the Chinese central government to no longer turn a blind eye, and instead, to clearly express its disappointment in the local government and put a stop to their illegal activities. The ‘Chinese Dream’ should be for all Chinese citizens, including China’s 100 million plus Christians,” she said.